The best Samosas hands down! 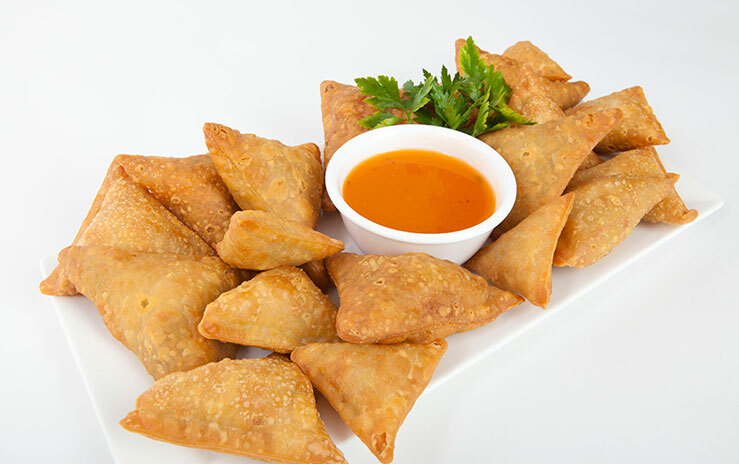 Samosa Factory is in the business of producing quality samosas and snacks to be enjoyed in homes and businesses. 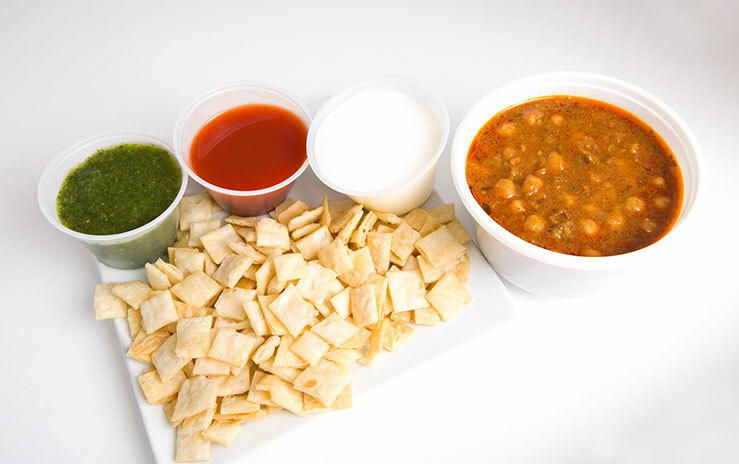 • Flavours- Vegetable, Beef, Chicken, Butter Chicken, and Cheese and Spinach. 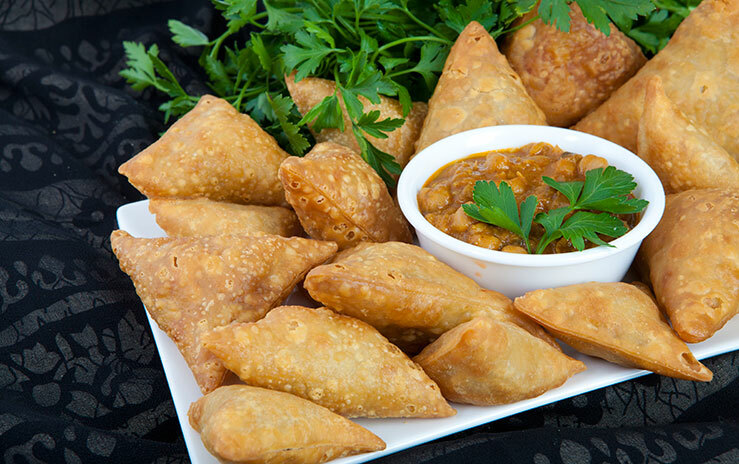 • Samosa Factory only uses high quality spices, fresh produce, and keep it local. 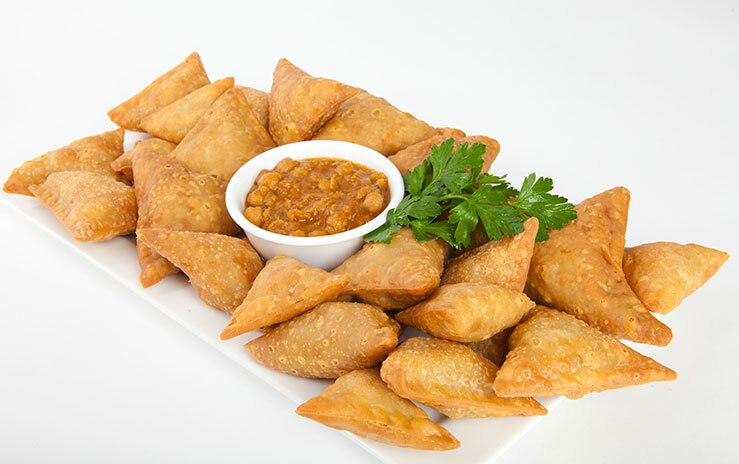 • Samosa Factory offers a variety of popular ready to eat indian snacks and sweets. • Catering, Events, and Wholesale. Choose the items you wish to order, then click on the order button of your nearest location. 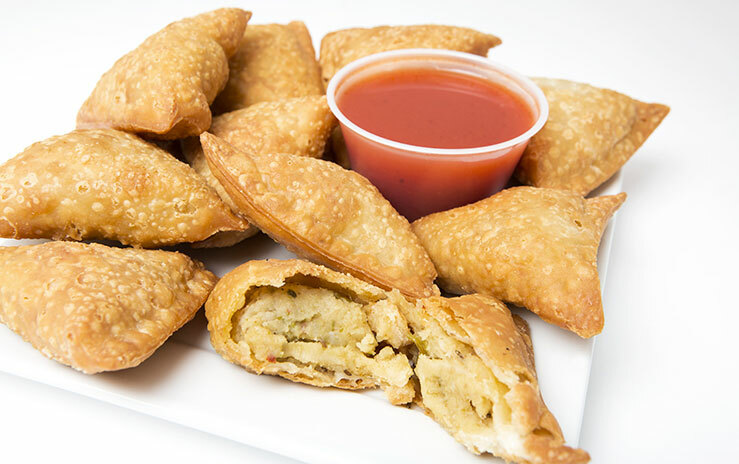 A savory mix of vegetables and exotic Indian spices wrapped in a crispy pastry. Filling: potatoes, peas, onions,ginger, fenugreek, salt, spice, and canola oil. Pastry: water, enriched wheat flour, salt and canola oil. 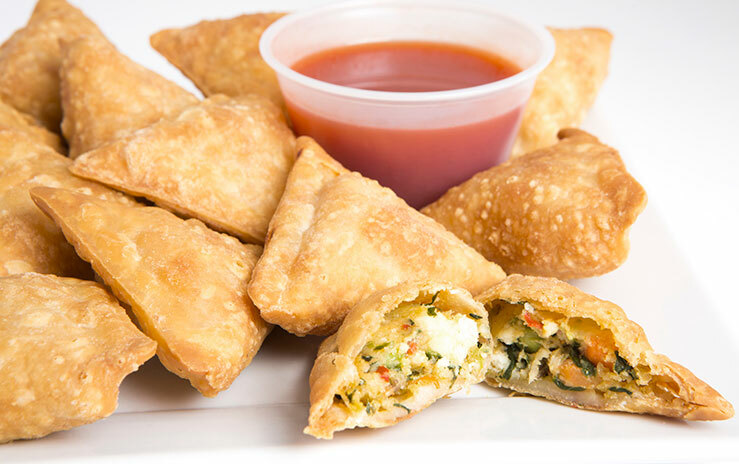 A savory mix of cheese (paneer) and spinach and exotic Indian spices wrapped in a crispy pastry. Filling: paneer, carrots, peas, spinach, ginger. 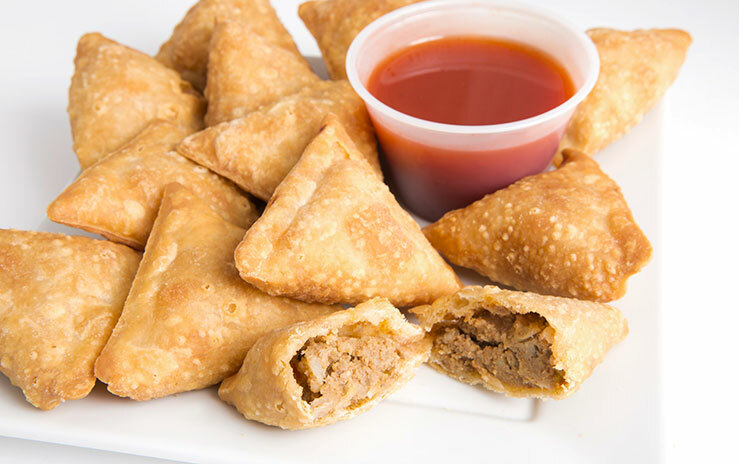 A savory mix of Alberta ground beef and exotic Indian spices wrapped in a crispy pastry. Filling: ground beef, ginger, peas, onions, potatoes, fenugreek, salt, spice and canola oil. 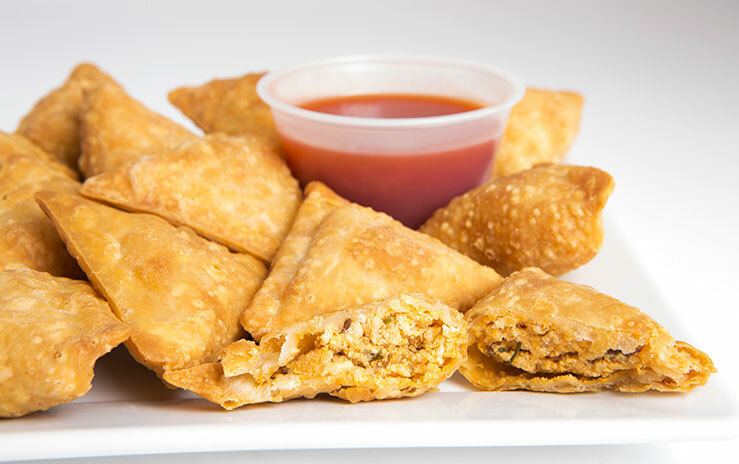 A savory mix of ground chicken breast and exotic Indian spices wrapped in a crispy pastry. 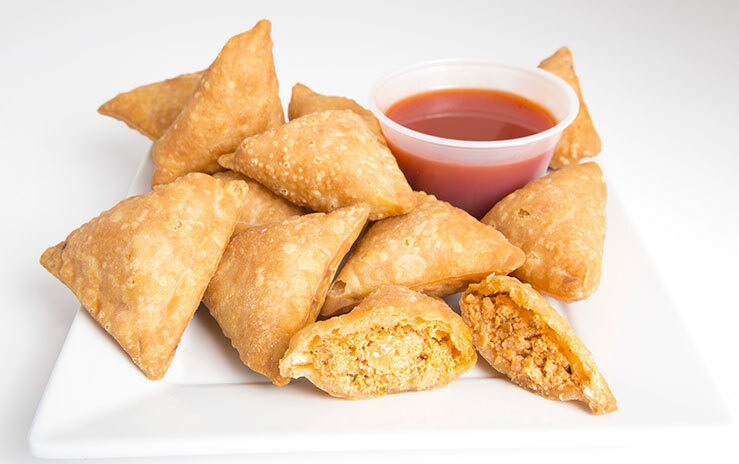 A savory mix of ground chicken breast, butter chicken sauce and exotic Indian spices wrapped in a crispy pastry. Filling: ground chicken, onions, ginger, fenugreek, salt, spice, butter chicken sauce, and canola oil. 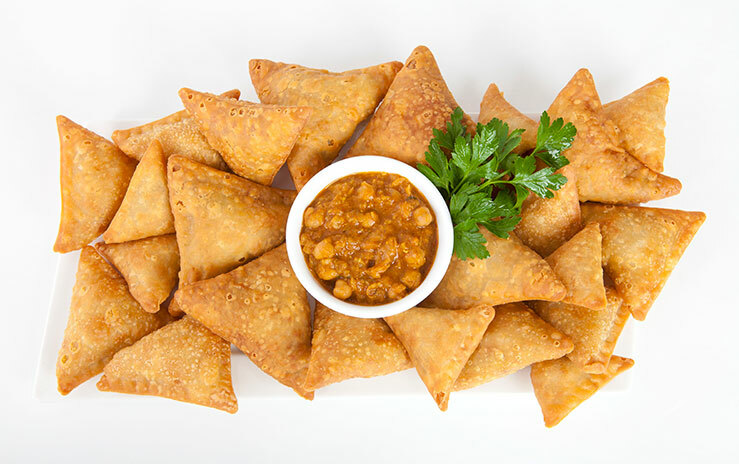 Family Pack: A ready to go pack of 18 medium samosas, chickpea curry and tamarind chutney. 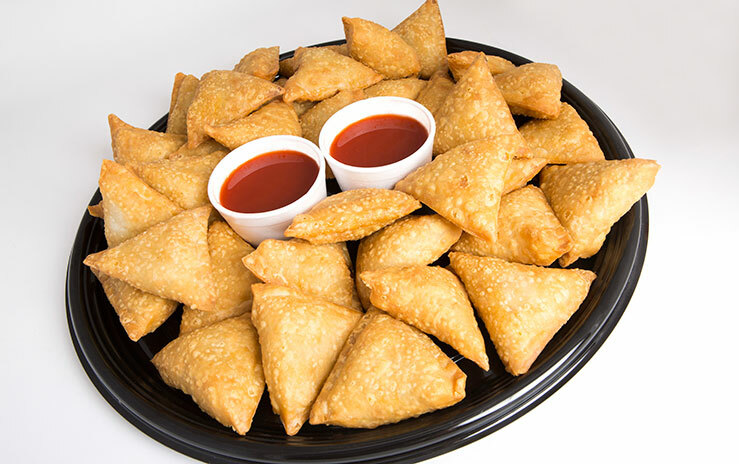 Mini Mixer: A ready to go pack of 12 mini samosas. 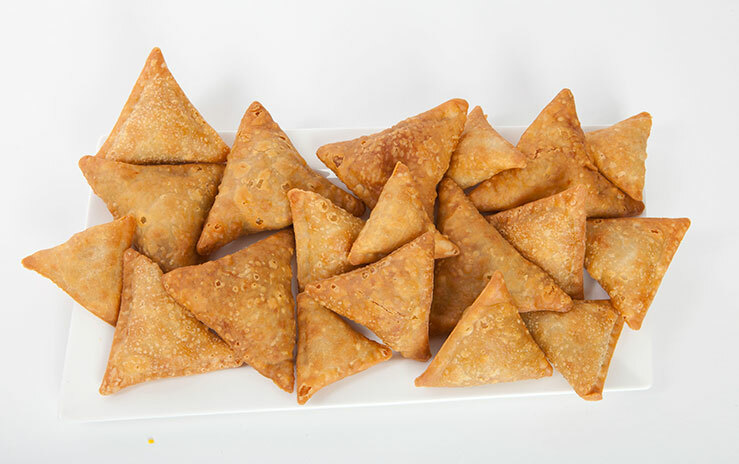 Medium Mixer: A ready to go pack of 12 medium samosas. 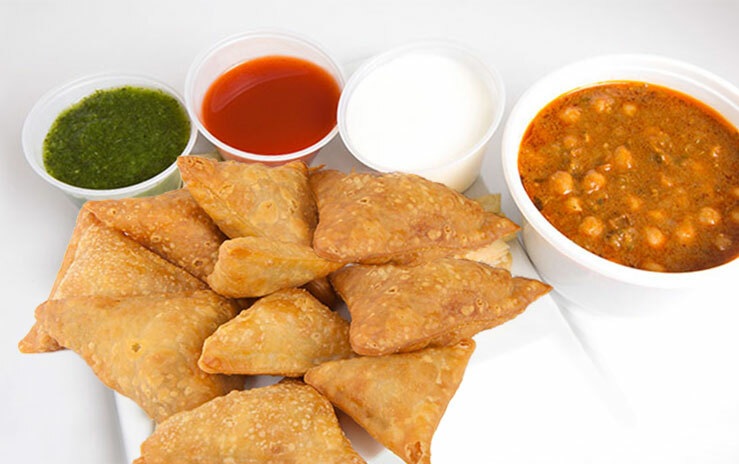 Assorted platters of samosas and pakoras for any occasion. 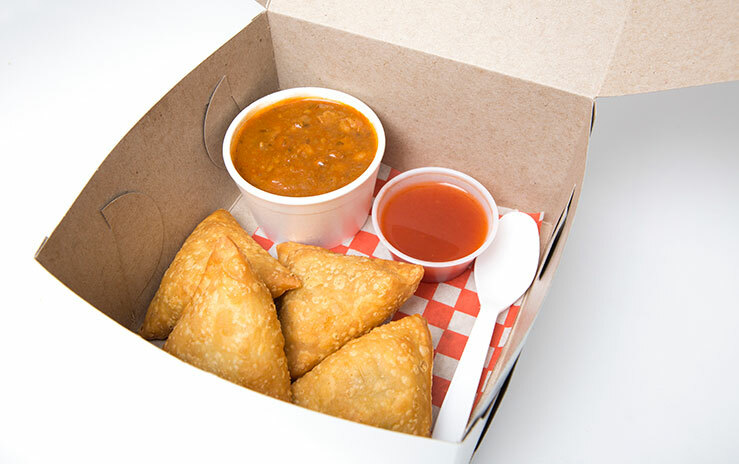 A variety of grab and go samosa lunch boxes. 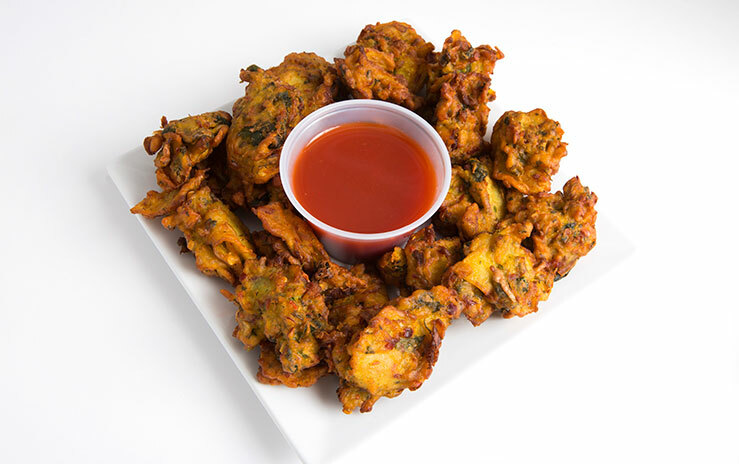 A variety of pakoras available. Vegetable, Cheese (Paneer), Fish. Vegetable Filling: chickpea flour, spinach, onion, cauliflower, potato, fenugreek, and spices. Paneer Filling: paneer, chickpea flour, mint chutney, corn flour, salt, baking powder, and spices. 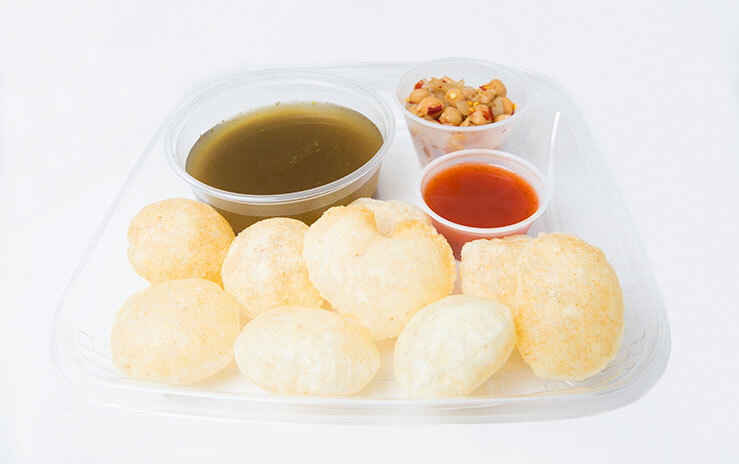 A round, hollow puri, fried crisp and filled with a mixture of potato, onion, and chickpeas. Served with a side of flavored water. Crispy wafers topped with chickpea curry, yogurt, mint and tamarind chutney. 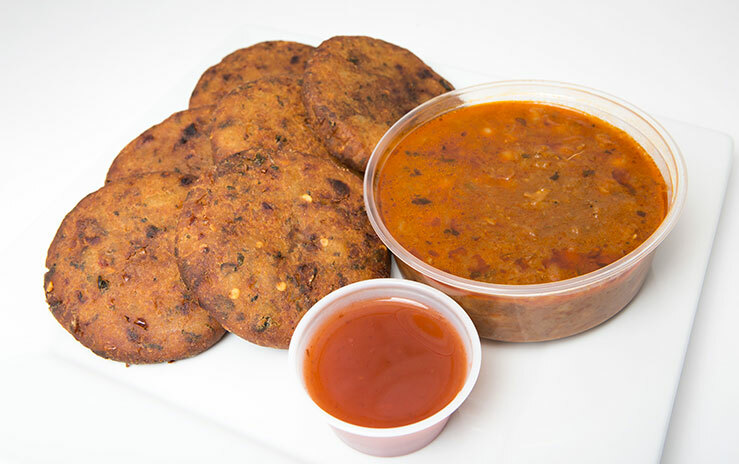 Crispy potato cakes served with chickpea curry and tamarind chutney. Vegetable samosas topped with chickpea curry, yogurt, mint and tamarind chutney. 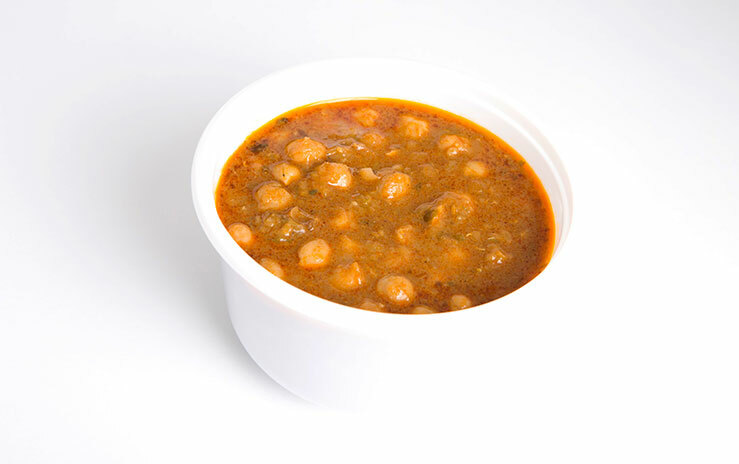 Chickpeas in a spiced curry sauce. Fresh mint leaves, cilantro, ginger, yogurt and Indian spices. Tamarind seeds, salt, sugar, and Indian spices. 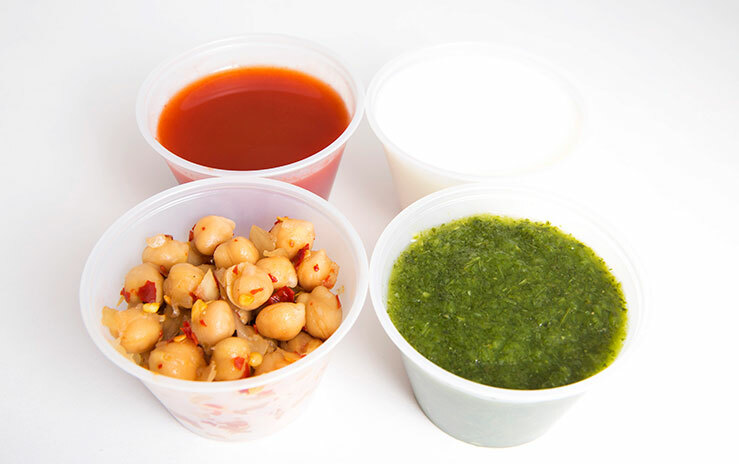 If you are a restauranteur, or are looking to purchase in bulk, look no further! 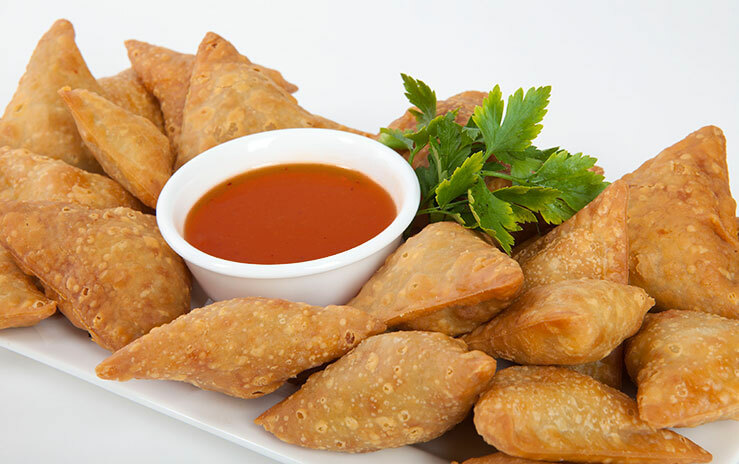 Samosa Factory carries a wide array of indian snack and sweets for all your consumer needs. To answer your questions - and listen to your comments. Just let us know how we can help you! 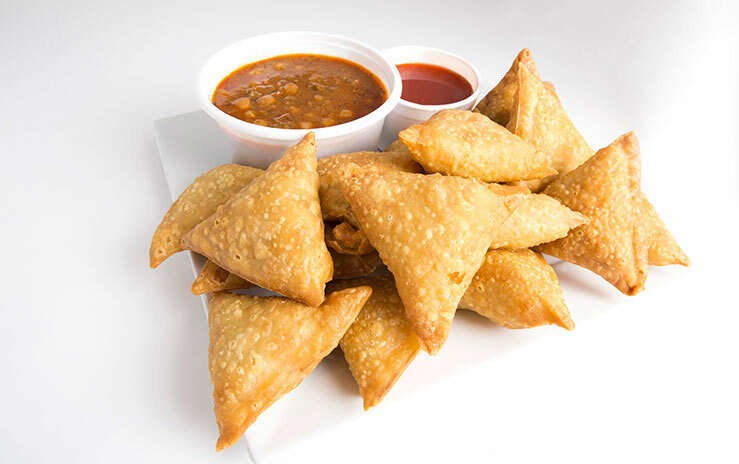 Join us at the "Samosa Craze Email Club" by completeing the form below to receive our quarterly newsletter containing news of upcoming promotional offers.